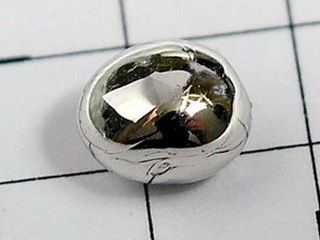 Platinum was known to native South Americans before the arrival of Columbus and was introduced into Europe around 1750. 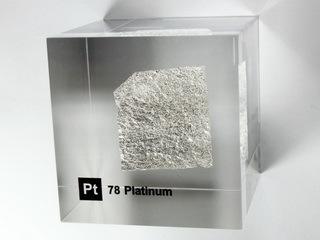 Platinum is a member of the platinum group metals and is lustrous, malleable and ductile; it has an abundance of approximately 0.001 ppm in the earth's crust. Of the group of six metals (Pt, Pd, Os, Ir, Rh and Ru), it is the most important. It is unaffected by oxygen and water and is only soluble in aqua regia or fused alkalis. 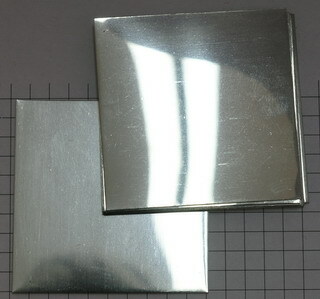 Applications for platinum are many and varied; for example, it is used to make weights and measures standards, it is used in the electronics industry for electrical contacts which might be subject to high temperatures, and it is used to manufacture electrodes which might be subject to chemical attack. A current and important use of platinum is in car exhaust catalysts, in which a ceramic honeycomb is coated with platinum. 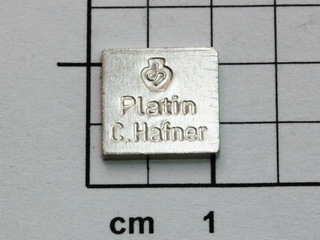 Platinum is also used to manufacture jewellery and, along with gold and silver, has its own hallmark.